The Senate has promised to provide necessary funding and support needed by the Economic and Financial Crimes Commission, EFCC, to stamp out corruption in Nigeria. Chukwuka Utazi, Chairman, Senate Committee on anti-corruption made the pledge on Wednesday, March 1, 2017 during the 2017 budget defence by the EFCC. 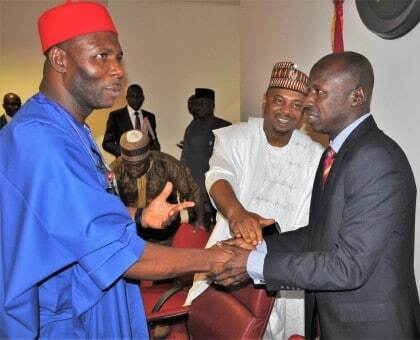 Utazi, who commended the anti-graft agency for doing a great job in combating economic and financial crimes said, the Senate is committed to building a strong EFCC by appropriating adequate funds for its activities under the current financial year with a view to boost the anti-corruption war of the present administration. “We want to build a strong institution so that anybody who wants to work against it will not succeed. The Senate is committed in doing that”, he assured. He also expressed support for the EFCC in establishing Radio and Television Stations towards achieving one of its core mandates in enlightening the Nigerian people on the dangers of corruption. Ibrahim Magu, Acting Chairman, EFCC, presented a budget proposal of N17,202,253,360.00 (Seventeen Billion, Two Hundred and Two Million, Two Hundred and Fifty Three Thousand, Three Hundred and Sixty Naira) for 2017. The budget represents an 8.5% decrease to the Eighteen Billion Eight Hundred and Eighty Seven Million, Five Hundred and Thirty One Thousand Six Hundred and Thirty Six Naira (N18,887,531,636.00) budgeted for the Commission in 2016. Magu gave a breakdown of the budget thus: Capital Expenditure – Seven Billion, Seventy Four Million, Two Hundred and Twenty Three Thousand, Seven Hundred and Eight Naira (N7,074,223,708.00); Personnel Expenditure – Seven Billion, One Hundred and Twenty Seven Million, Three Hundred and Sixteen Thousand, Three Hundred and Fifty Four Naira (N7,127,316,354.00); and Overhead Expenditure -Three Billion, Seven Hundred and Thirteen Thousand, Two Hundred and Ninety Eight Naira (N3,000,713,298.00). 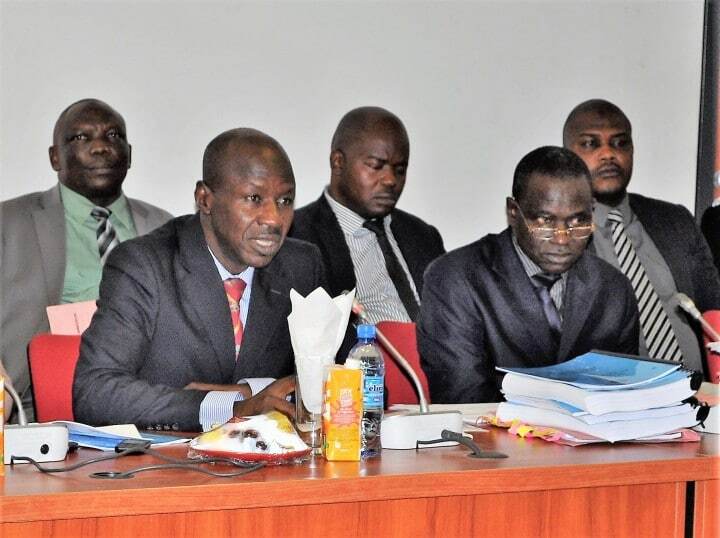 Magu further presented an addendum of N2.43billion which entailed the contract agreement between Messrs Julius Bergers Plc and the EFCC not captured in the initial submission to the Committee. EFCC Headquarters and appealed for increase in the budgetary allocation to enable the Commission function effectively in the 2017 fiscal year. At the session were Monsurat Sunmonu, Chairman, Senate Committee on Foreign Affairs; Sani Mustapha Mohammed, Vice Chairman, Senate Committee on Anti-corruption; Dino Melaye, Chairman, Senate Committee on FCT and Sabo Mohammed, Vice Chairman, Senate Committee on Trade and Investment. Magu was accompanied to the session by management staff of the EFCC.